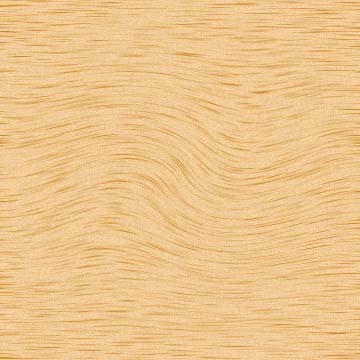 Olaf Wieghorsts Art has been displayed on many advertisement calendars produced during the 1940s and 1950s. 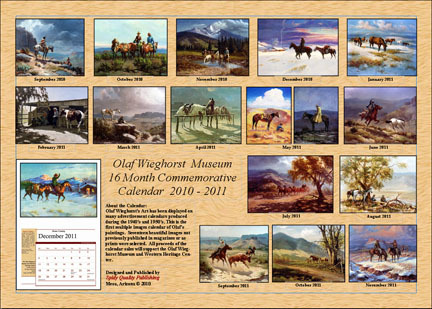 This is the first multiple images calendar of Olafs paintings. Seventeen beautiful images not previously published in magazines or as prints were selected. 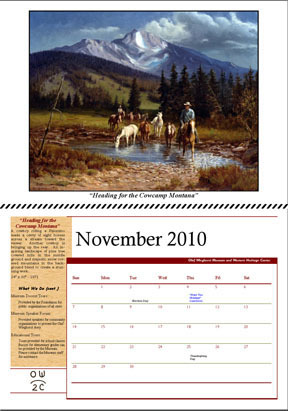 This is a 16 month calendar starting on September 2010 and ending on December 2011. 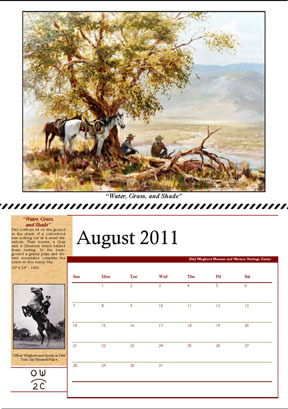 The calendar is 14" wide, 20" tall, and printed on acid free paper. 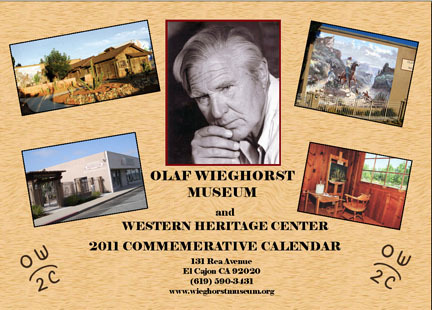 All proceeds of the calendar sales will support the Olaf Wieghorst Museum and Western Heritage Center.